So I have 4 major goals I will accomplish in the next 5 years. They re in my DMP and in everything else I read and listen to. I struggle a bit with the visualizing, but getting better “Law of growth”. I have been feeling like I was not focusing enough on anyone of the four goals I have. It was hard to see being a sales leader before Making 10,000.00 per month. Reading part twelve in the MKS this week taught be a big lesson, It was huge and it made all the difference in the world within. It was the changing of my focus from one goal to the next and never really focusing on the first goal. Without accomplishing that one, all the others fade into obscure hopes. So this week I focused on the first goal in my POA. 10,000.00 per month and I have that securely in the mind and that is the focus. Holding that single minded focus has increased my excitement and my confidence. I can see the end product, I can see the money in my account and I can see the actual ways I can use it. What a difference having a single minded focus can have! My mantra……. [To have more~~~~~Focus on less.] Magnifying glass & compass. Brian~Thank you for sharing your personal experiences on this. Our minds love to jump from thought to thought, goal to goal and this only make us lose the laser focus we need. 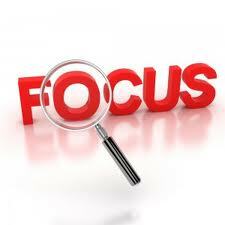 Keep up the great work on FOCUSING…..SHINE ON! !